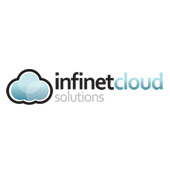 The Subscribe-HR HR Software in the cloud integrates to Infinet Cloud Payroll. Infinet Cloud Solutions are developers of Cloud Payroll and Cloud HR for Australia, New Zealand, UK, Singapore and beyond. They are one of the leading NetSuite Partners in Asia Pacific, specialising in Australasian and European focused business solutions. ICS Payroll is now the de-facto standard for companies using NetSuite and JCurve, and is rapidly establishing itself as a flexible, extensible alternative to traditional on-premise payroll products. ICS Payroll provides a fully featured cloud payroll service with the added advantage of a complete accounting, CRM (Contact Relationship Management) and ERP (Enterprise Resource Planning) platform. Subscribe-HR is Built for Netsuite Certified. As a result of our seamless integration with Infinet Cloud Payroll, you can use your existing payroll solution and bolt on enterprise strength HR Software to do all the heavy HR lifting for you. Choose from a SaaS ecosystem of products. Subscribe-HR utilises Amazon Web Services to keep your data safe.